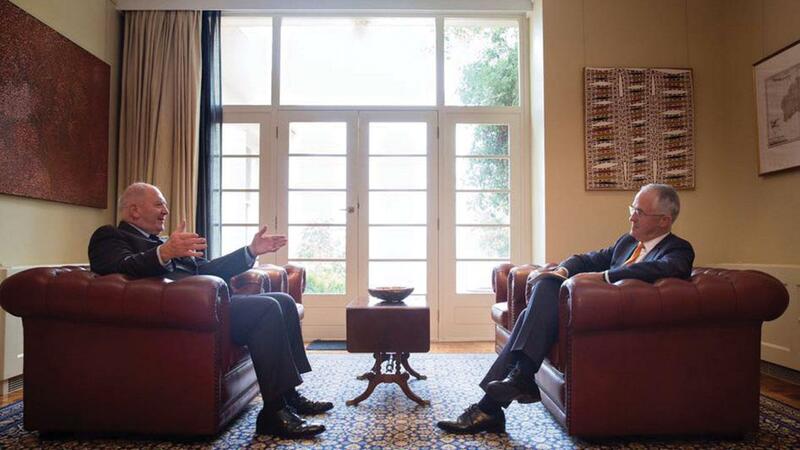 On Sunday 8 May, the Prime Minister Malcolm Turnbull met with the Governor-General Peter Cosgrove to request that both Houses of Parliament be dissolved and an election be called for 2 July. The correspondence between the Prime Minister, the Attorney-General and the Governor-General is available to view by clicking here. This double dissolution did not come as a surprise to anyone. But it is an interesting Constitutional process that we thought you might like further explained. This election is going to be different to a normal election. Both Houses are being simultaneously dissolved and all seats in the Parliament are up for re-election. There are 150 seats in the House of Representatives and 76 seats in the Senate. A normal election sees the House being dissolved, while the Senators who have fixed six years terms hold their seats until their term expires. Dissolving the Senate in this manner is unusual and has only occurred six other time since federation. The first double dissolution occurred in 1914 and we wrote about that a few weeks ago (click here to catch up). How has this Parliament been dissolved? If the House of Representatives passes any proposed law, and the Senate rejects or fails to pass it, or passes it with amendments to which the House of Representatives will not agree, and if after an interval of three months the House of Representatives, in the same or the next session, again passes the proposed law with or without any amendments which have been made, suggested, or agreed to by the Senate, and the Senate rejects or fails to pass it, or passes it with amendments to which the House of Representatives will not agree, the Governor‑General may dissolve the Senate and the House of Representatives simultaneously. But such dissolution shall not take place within six months before the date of the expiry of the House of Representatives by effluxion of time…. First, the House of Representatives must pass a proposed law, which the Senate rejects or fails to pass, or passes with amendments to which the House of Representatives will not agree. Second, after an interval of three months, the House of Representatives, in the same or next session, must again pass the proposed law with or without any amendments which have been made, suggested, or agreed to by the Senate. Third, the Senate must again reject or fail to pass the proposed law, or pass it with amendments to which the House of Representatives will not agree. Fourth, simultaneous dissolution of both Houses of Parliament must not take place within six months before the date of the expiry of the House of Representatives by effluxion of time. There are three Bills listed by both the Prime Minister and the Attorney-General in their letters to the Governor-General as having been passed by the House of Representatives twice, three months apart and rejected both times by the Senate. This means that these trigger Bills meet the requirement for the dissolution of both Houses of Parliament. Another requirement is that a double dissolution cannot occur within six months of the expiry of the House of Representatives. The 44th Parliament first met on 12 November 2013 and so the final date that the double dissolution could have occurred was 11 May. This Parliament was dissolved on 9 May 2016. There are two more paragraphs of section 57 of the Constitution that outline how a deadlock between the two Houses is dealt with after the double dissolution election. The first presumes that the Government wins the election. If Labor were to become the Government for the 45th Parliament, the three trigger Bills would likely end up in the bin. So let’s assume that the Coalition wins (so we can demonstrate the next part of the process process). ….If after such dissolution the House of Representatives again passes the proposed law, with or without any amendments which have been made, suggested, or agreed to by the Senate, and the Senate rejects or fails to pass it, or passes it with amendments to which the House of Representatives will not agree, the Governor‑General may convene a joint sitting of the members of the Senate and of the House of Representatives…. The second paragraph outlines how a re-elected Turnbull Government can proceed to pass the deadlocked Bills. First they must attempt to pass them in the normal way, one House at a time and if they fail to pass the Prime Minister can ask the Governor-General to convene a joint sitting. As long as the Government has an overall majority in both Houses the Bills should pass. The final paragraph of section 57 outlines the joint sitting. What happened at our other double dissolution elections? Out of the six double dissolutions we have had since federation only two have resulted in the trigger Bills being passed after the election. The first double dissolution in 1914 was triggered by a union Bill that a Commonwealth Liberal Government who had a minority in the Senate could not pass. The election resulted in the Government losing power (Click here to read a more detailed account of this). The second double dissolution wasn’t until 1951 and was triggered by a Commonwealth Bank Bill that the Menzies Government was unable to get through the Senate. After the election the Government returned to power with a majority in the Senate and was able to pass the Bill in the normal way. In 1974 the third double dissolution occurred, with the Whitlam Government having accumulated six trigger Bills that had been held up by a hostile Senate. The Labor Government was returned after the election, but without a Senate majority. As such, Prime Minister Gough Whitlam requested that the Governor-General convene a joint sitting and all six Bills passed. This is the only time a joint sitting of the Houses has occurred in the history of our federation to break a deadlock between the Houses. The 1975 Constitutional Crisis is the fourth and most famous double dissolution. The Whitlam Government still facing a hostile senate, had built up 21 double dissolution trigger Bills when the Opposition decided to block supply of the Budget Bills in the Senate. The Governor-General John Kerr dismissed the Government and caretaker Prime Minister Malcolm Fraser asked Kerr to call a double dissolution using the Labor triggers. The Fraser Government was elected and as they had previously opposed all of the trigger Bills they did not reintroduce them after the election. By 1983, the Fraser Government had built up 13 trigger Bills and asked the Governor-General to dissolve both Houses of Parliament simultaneously for the fifth double dissolution. Unfortunately for Fraser, the unpopular Labor Opposition Leader Bill Hayden had resigned his role just hours before the writs were issued for the election. Bob Hawke was elected Leader of the Opposition five days later and went on to win the election for Labor. Those 13 trigger Bills were tossed in the trash. Our last double dissolution, the sixth, was called in 1987 and the trigger Bill was the introduction of the Australia card. Labor, led by Bob Hawke were returned to Government, but were still without a Senate majority. While the Government did have the numbers to pass the Bill in a joint sitting, the unpopular (and possibly flawed) Bill was abandoned. The Commonwealth told the court Senator Day had taken too narrow a view of the constitution, and the Parliament has the power to make the new law. This means that Australia’s seventh double dissolution election will go ahead with a new Senate voting method. It’s a going to be long election campaign and it will be nearly two months before we will know the results. We’ll keep you informed as to any Constitutional matters during this period. We are hoping we might be able to use this period to give you some interesting Constitutional stories from Australia’s fascinating history.